Mikhail Margelov has visited Libya on a peace mission, in the latest attempt to bring both sides of the conflict to negotiations. The Russian mediator has met with the leaders of the Libyan opposition in Benghazi. After Margelov’s meeting with the head of the National Transitional Council Mustafa Abdul Jalil, he said the opposition in Benghazi is made up of serious and responsible people who welcome the idea of Russia's mediation in Libya. “These people are not voicing extremist ideas, they are interested in the steady development of Libya as a united and integral state," Margelov told Interfax news agency shortly after the talks. 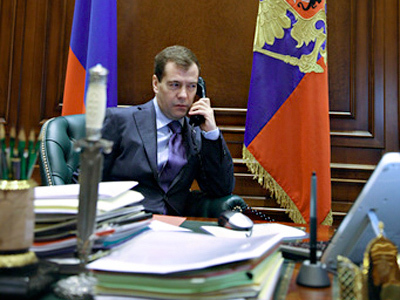 "The opposition leaders have backed Russia's idea about the Russian mediation of the conflict," he said. Margelov also pointed out that for the moment he is not planning a visit to Tripoli for talks with pro-Gaddafi forces. After Benghazi he is going straight to Cairo. Margelov repeatedly pointed out that Russia values its relations with the Libyan people and said that Russia’s position is that the Libyans are capable of independently defining their fate. Earlier, Libyan government spokesman Moussa Ibrahim accused NATO and coalition officials of dictating their conditions to his country. “People who come with conditions, they are insulting us, they are insulting the Libyan nation, because they are saying to the Libyan people, ‘You do not know, what is good for you, we are going to choose for you’. So, if you are really interested in peace, what you do is, you come and say, ‘The future of Libya should be decided by Libyans,’” he demanded. Margelov also admitted it is important to bring Libyan society to peace as “a drawn-out military standoff deteriorates the humanitarian situation not only in Libya, but in the neighboring countries – hosts to Libyan refugees”. 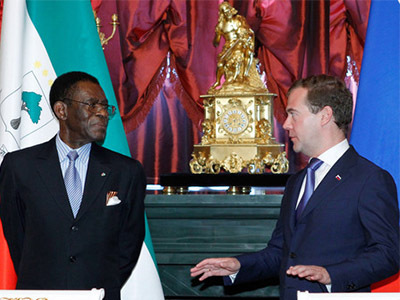 The visit comes following President Medvedev's announcement after the G8 meeting a week ago that Colonel Gaddafi has lost his legitimacy and should step down. 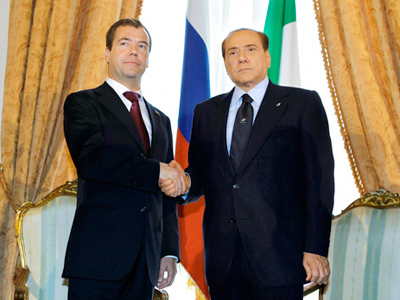 The move continues Moscow’s reconciliatory efforts in Libya. Earlier in May, the representatives of both sides of the Libyan conflict were in Moscow for talks behind closed doors. Colonel Gaddafi remains defiant in the face of NATO raids, vowing he will never surrender. Libyan state TV broadcast an audio address in which he denounced the coalition and the rebels. 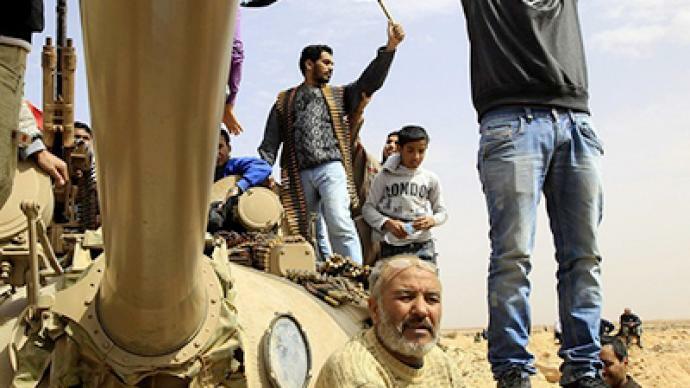 Meanwhile, tension is growing between NATO commanders and the Libyan opposition in Benghazi, where rebel leaders accuse the allies of taking the initiative in what is, essentially, a people's uprising. Russia has stepped up its mediatory efforts amid its growing concerns that NATO's actions in Libya are more and more beginning to resemble a ground operation. 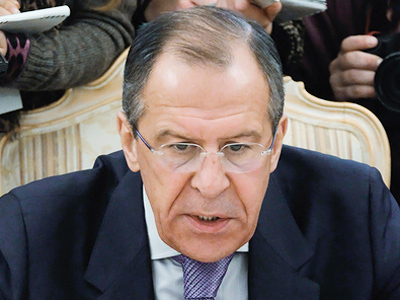 Moscow is strongly opposed to it, insisting on diplomatic and political means to settle the conflict. Also on Tuesday, the alliance intensified its airstrikes on the Libyan capital close to Gaddafi's compound, using low-flying military aircraft. The attacks, said to be the strongest since the beginning of the whole operation, continued into Wednesday morning. 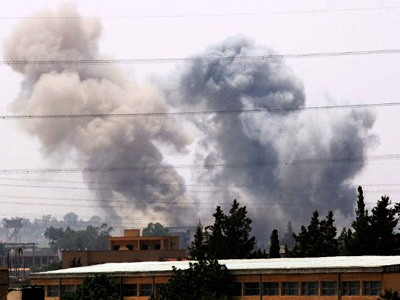 Reports say warplanes hit Tripoli more than 60 times. Government representatives claim the latest bombs killed 31 people.